The MaxBotix MB1023 HRLV-MaxSonar-EZ2 High Resolution Ultrasonic Rangefinder is an accurate temperature compensated distance sensor. 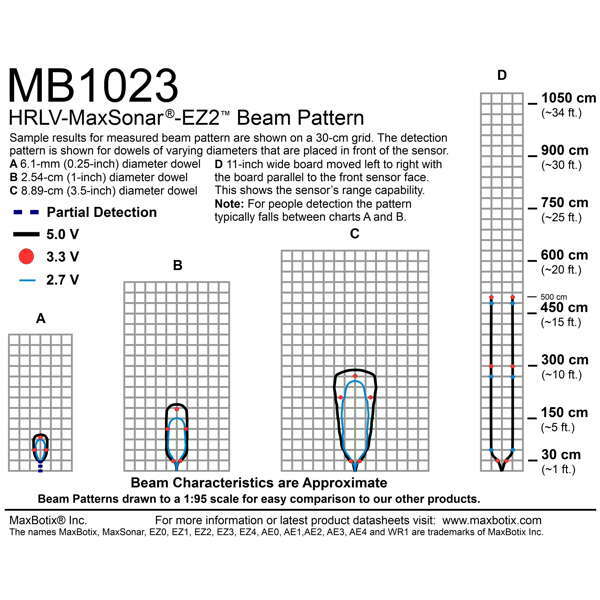 The HRLV-MaxSonar-EZ2 has a range from 30cm to 5 meters with millimeter resolution. Objects closer than 30cm register as 30cm to achieve distance sensing with virtually no dead zone. 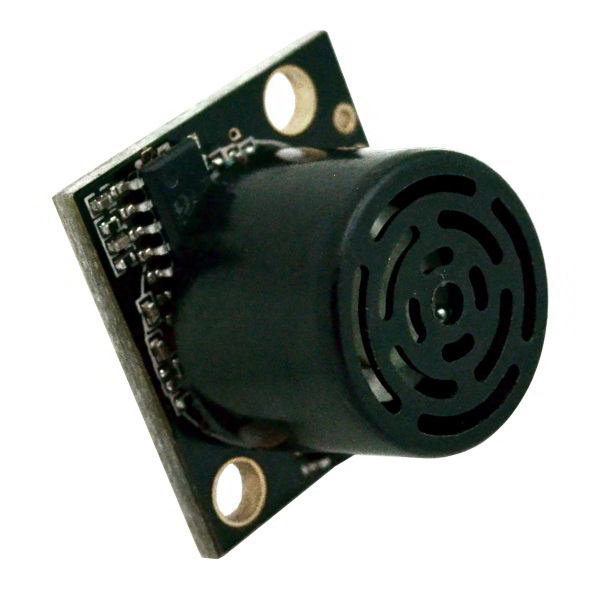 This ultrasonic range finder features built in temperature compensation and is factory calibrated to an accuracy of 0.1% at 1 meter. Ultrasonic distance sensors use sonar technology to detect objects. An ultra-high frequency sound is produced which bounces off objects to return back to the sensor for distance computations. MaxBotix provides a set of output options for maximum versatility including PWM Pulse Code Modulation, analog voltage and TTL or RS232 serial. 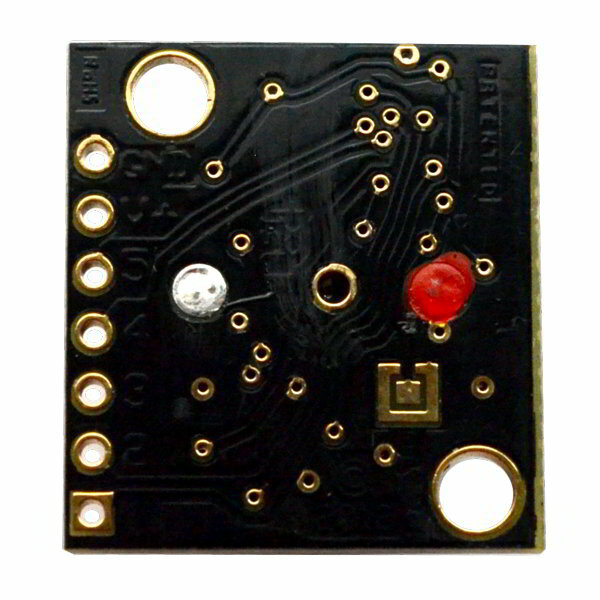 This distance sensor operates can be used with 3.3V and 5V microcontrollers. 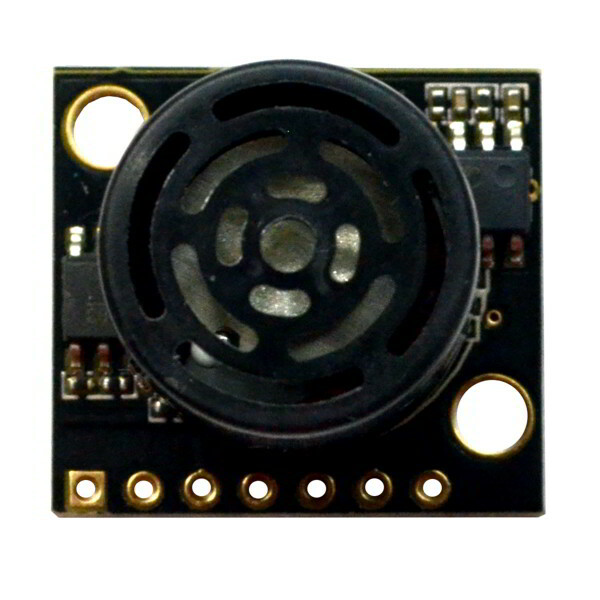 It typically consumes only about 3.1mA making it an excellent choice for your battery powered robot projects.